Featuring two brow powders for all hair tones and an easy to use shaping wax, Brow Perfection Trio makes creating flawless brows a breeze. 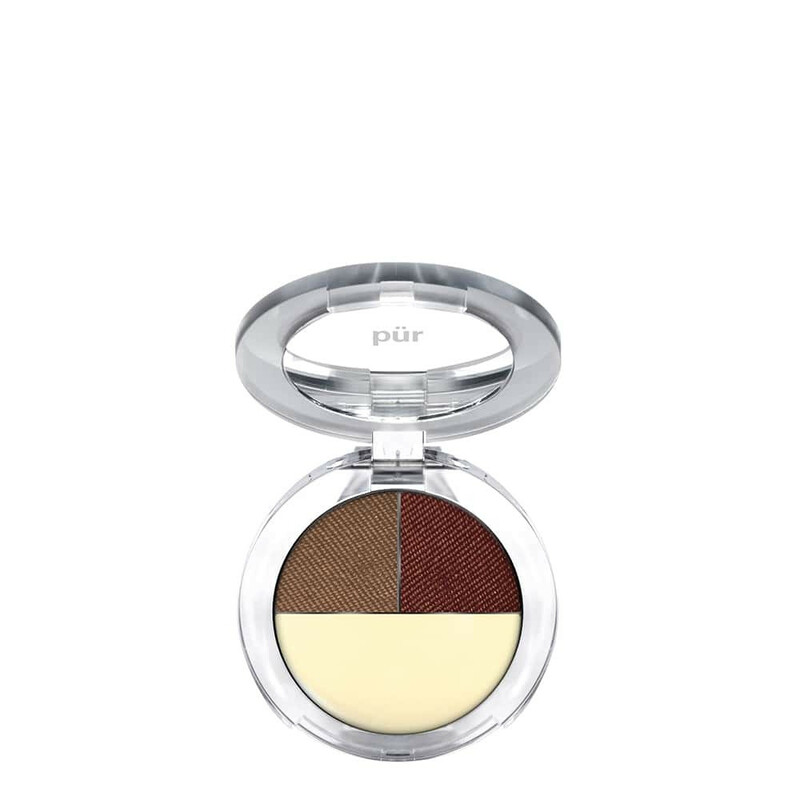 Both shades blend effortlessly to mimic the highlights and lowlights of your natural hair colour while PÜR's unique shaping wax conditions as it shapes brows and holds onto colour for the perfect arches every time. 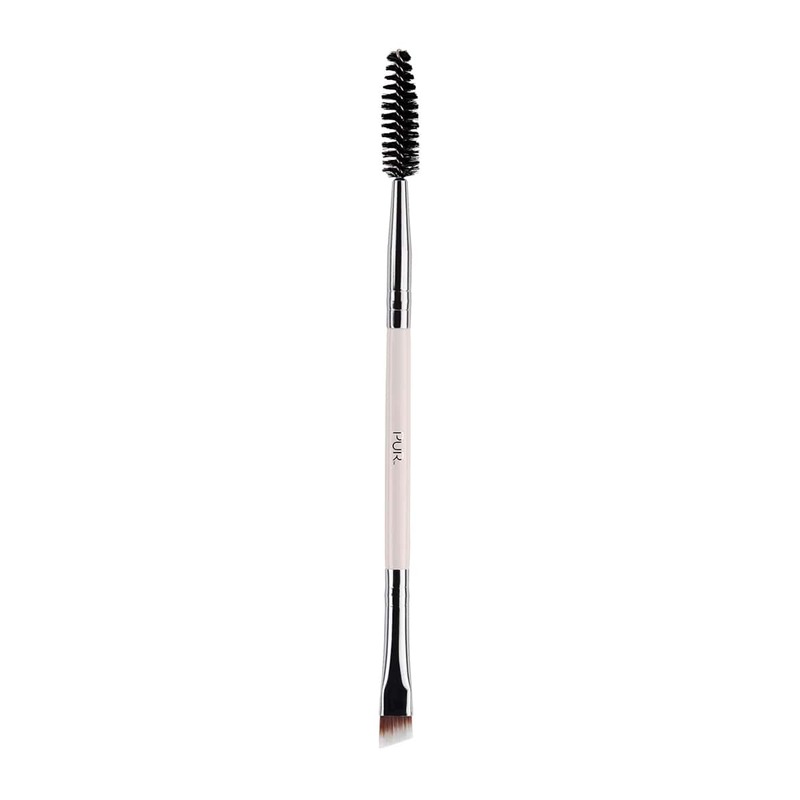 Using a Brow Brush, dip it into the shaping wax and brush against the brows to "fluff" eyebrows. Using the brow powder of choice or blending the two, fill in eyebrows to desired intensity. I love this product. I can make it dark or just fill in the lighter part of my brows. Best part is that it stays on all day for a completely natural look. This is my go to! I’ve tried the best and most expensive, the pencils and even the tattoo make it look like hair kind and still come back to this! This is a very good product; easy to use and one can achieve very subtle to a very defined result. I would recommend this product. I am able to achieve a perfect blend of color with ease. I love the consistency of the wax... light and comfortable. I've tried to use this, but even with a great eyebrow brush, it's greasy and then the color doesn't hold. I guess I'll stick to pencils. This is a great product. Have used it for a long time and never been disappointed in the quality. It can be applied easily and the results are very natural looking brows. Pencils seem to be too damaging to my brows but this product can be applied with ease and non damaging. Love this product. It is very natural looking and so easy to apply. I highly recommend it. Highly recommend this product! I ordered it for my mother and it filled her eyebrows with a natural yet full look. We loved it! I have found nothing that compares to this product. It works with perfection and stays on until you wash it off. Hopefully this will stay in the line up and never change. Our Shoppers Drug Mart in Canada stopped carrying this product much to my dismay, so I went on line and was so pleased with the constant attention concerning delivery status and completion of the order. Thank you for providing a natural looking enhancement to my sparse and light eye brows!